Ohanaeze Ndigbo has warned the Federal government and Nigerian Army in particular against a repeat of September 2017, Operation Python Dance experience which saw Igbo sons and daughters being killed in a gruesome manner without consequences. 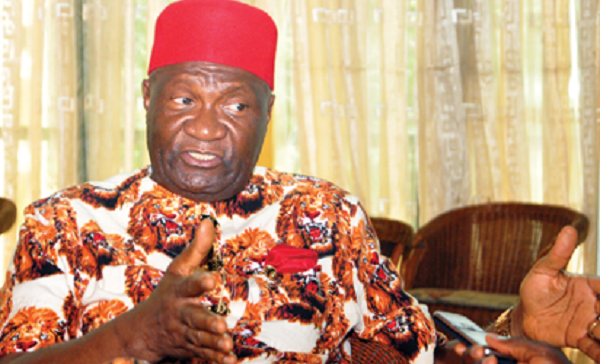 In a statement, the Ohanaeze President-General, Chief Nnia Nwodo, said that the marching orders given by the Chief of Army Staff to Division and Garrison commanders in the South East of Nigeria to go after IPOB members in the region in order to forestall their threat to boycott the forthcoming general elections might be a well-planned agenda to execute carnage. IPOB had threatened to hold a referendum on the said date. Chief Nwodo said “Ohaneze is disturbed that this kind of order might be misconstrued to execute carnage, drowning in shallow water and inhuman and degrading treatment on our youths as happened in the last Operation Python Dance in Abia State. “IPOB remains a peaceful organisation championing self-determination. Their last threat for a boycott of Anambra State elections witnessed no violence but instead, we saw a higher turnout of voters than in the previous elections. The army did not order any such operation then as they are ordering now. “We hope this operation is not aimed at scaring the people of the South East from coming out to cast their votes. We should be allowed to use our traditional rulers, community leaders, and religious leaders to restrain our children,” it said. Meanwhile, the Southern Christian Forum on Tuesday warned the Independent National Electoral Commission, INEC, and the security agencies against compromising the forthcoming general elections. It said that anything short of the credible election would not be accepted by Nigerians and would be resisted. This was contained in a communiqué the forum issued after an emergency meeting of the youth wing of the forum. The communiqué signed by Priscilla Adetoye, Vice Chairman, South-West; Iniabasi Asuquo, Secretary, South-South, and Deacon Vincent Ogbonna, Chairman, South-East, said the INEC must allow the will of the people to prevail in the elections. It read: “Christians should come out en-mass and support a man who can restructure and revive the country’s economy. “The Christian youths should shun violence before, during and after elections,” they said, adding “the security agencies must, however, be non-partisan in the discharge of their duties during the elections. “That the Independent National Electoral Commission should ensure that there is free, fair and credible election across the country. Nigeria Army Monday said the reports that many soldiers went missing after their post was attacked by Boko Haram insurgents were not true. An AFP reports Sunday said hundreds of soldiers after the attack, a second in days, on a remote military base which held about 734 troops in northeast Nigeria. 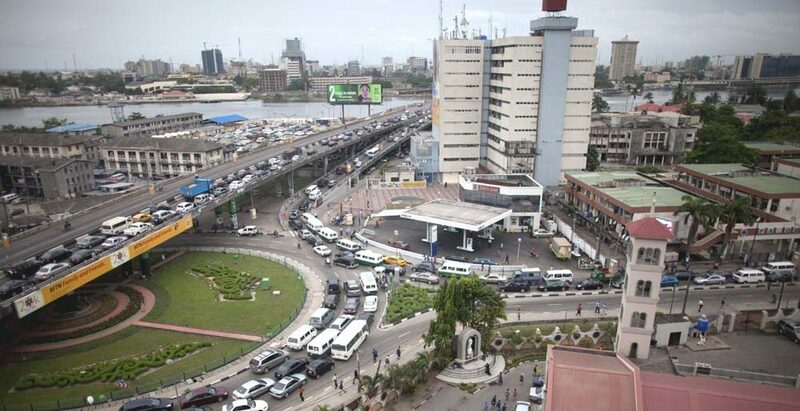 The base is reported to be new and the troops arrived there only recently from Lagos. The reports quoted an unnamed military source. “Boko Haram terrorists attacked troops of the 81st Division Forward Brigade at Jilli village in Geidam district. The terrorists came in huge numbers around 7:30 pm (1830 GMT) and overran the base after a fierce battle that lasted until 9:10 pm,” the unnamed military source told AFP. “The base had 734 troops. Currently, the commander of the base and 63 soldiers have made it to Geidam (60 kilometres away) while the remaining 670 are being expected,” he said, without elaborating on their possible fate. Although it acknowledged that there was a gun battle between the insurgents and troops and that the soldiers had an initial difficulty, the Army said none of its troops was captured, calling the reports “misleading”. “The Nigerian Army wishes to state categorically that the report is not only untrue but misleading as the said report is blown out of proportion by the media,” Army spokesman Texas Chukwu said in a statement. “The Nigeria Army wishes to state that there was an attempted attack on troops at Kwakwa and Chingori communities in Bama area of Borno State by suspected Boko Haram Terrorists as a result of difficult terrain where our vehicles bogged down. There has been a major shake-up in the Nigerian Army with the appointment of a new Director Military Intelligence and an acting Provost Marshall. The appointment Friday now has Major-General S.A Adebayo, as the new Director Military Intelligence (DMI), while Brigadier-General H. Ahmed, is acting Provost Marshal (Army). The redeployment, Daily Sun gathered, might not be unconnected with the allegation of negligence in the area of intelligence gathering and information management concerning the abduction of the female students of Government Girls Science Technical College in Dapchi, Yobe State by the Boko Haram terrorist group. Others affected in the redeployment, contained in a document of posting and appointment/amendment of Nigerian Army officers, signed by Major-General F. Yamaha, Military Secretary (Army), included Majors-General H. Garba, who is now Chief of Defence Logistics, K I Abdulkareem, Nigerian Army Resource Centre, A. A. Tarfa, former DMI, to Nigerian Army Corp of Artillery as Corps Commander and A. M. Dikko, to Defence Headquarters. Others are I O Rabiu, J B Olawunmi, Corp Commander Nigerian Army Electrical and Mechanical Engineering, G Oyefosobi, Commander, NATRAC, KAY Isiyaku, A T Haman, former Provost Marshall is to move to the DHQ, as Director Peace Keeping Operations, M O Uzoh, DHQ, AM Aliyu, to Defence Intelligence Agency (DIA), and HTZ Vintinaba, to DHQ. Also affected were Brigadiers-General FOE Pearce, NAWC, S. Mohammed, Acting Director DMPIA, and A A Aribiyi. Sources told Daily Sun, that while the Army authorities might not be taking the allegations by Amnesty International for its inability to act on advance warnings that a convoy of Boko Haram fighters were heading towards a town where the schoolgirls were abducted, it is also not taking the warning contained in a memo dated February, 8, from the Defence Intelligence Agency (DIA), alerting of an impending attack by the terrorists lightly. Besides, President Muhammadu Buhari’s warning to security chiefs earlier on Friday to sit up or have themselves to blame as he could no longer tolerate any lapses in the security sector was also not being taken lightly by Army authorities. It was also gathered that the Army authorities which felt very embarrassed over the abduction which was described as disgraceful by the Federal Government are digging deep to get to the root of the matter. You are an energy rich nation with the world’s 10th largest proven oil reserve. To prevent past mistakes and protect your country you want to send out a massive army to destroy your enemy? then you need a bigger at my size. 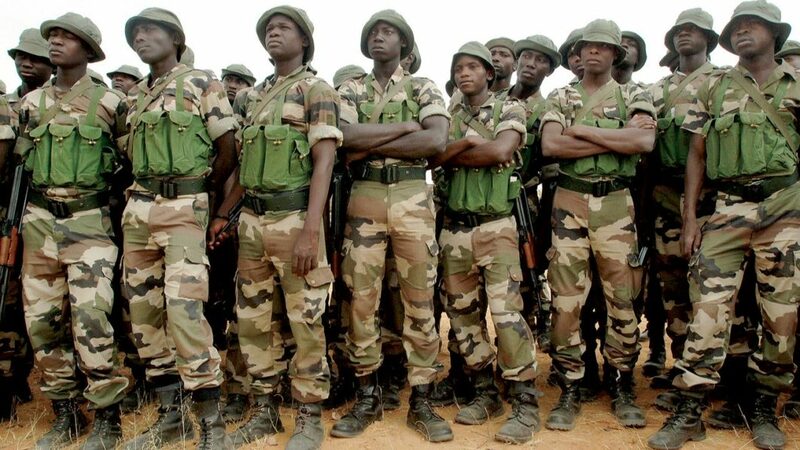 The Nigerian Army is poised to increase the size of its troops from 150,000 today to 220,000 by 2019 under new plans announced by the Defence Ministry. Under the new plans, Nigeria will formally establish an Army Aviation Corp of about 3,000 men and rotary winged aircraft as, and recruit 30,00 men by 2018, bringing its total service personnel to 180,000. This is roughly on par with the size of the British armed forces current size of 194,000.
recruits undergoing training. 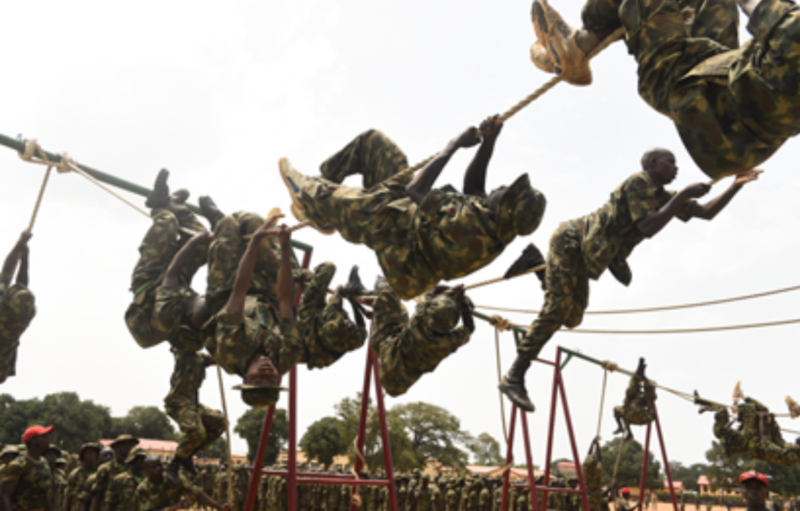 Recruits undergo training at the headquarters of the Depot of the Nigerian Army in Zaria, Kaduna State in north central Nigeria, on October 5, 2017. 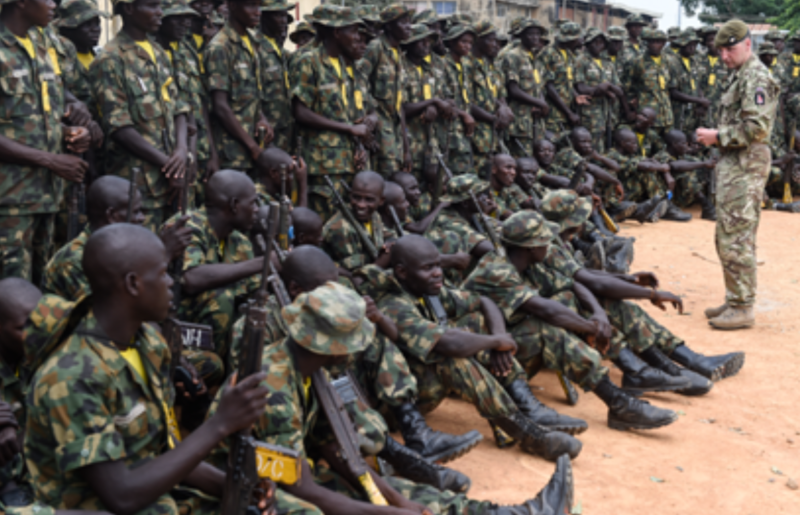 The military has been criticized for human rights abuses and claiming Boko Haram’s defeat numerous times. Pius Utomi Ekpei/AFP/Getty Images. Since the end of the civil war, the army has never been as necessary as it is now. The decade long asymmetric war against Boko Haram and the embarrassing occupation of Nigerian territory the size of Scotland during 2014 and 2015 had a profound effect on Nigeria’s military restructuring. In the mid-1980’s, Nigeria’s strategy focused on the fear of an illegal incursion into Nigerian territory by her Francophone neighbors. Commensurate with this threat, Nigeria’s military organisation emphasized long-range heavily armoured defensive ground forces and a robust air force. In essence, lots of men and artillery and air power. By the early 90’s the danger from Chad and Cameroon ebbed, and the Nigerian military revised it’s war strategy to that of a highly mobile expeditionary fighting force. This doctrine sought to move the fighting away from the Nigerian homeland. It shifted attention from Nigerian territory to the West African frontier and beyond, with combat and peace keeping operations as far south as Somalia. The Nigerian air force asserted in its contribution to the official expeditionary doctrine. Which is why the NAF operates the largest fleet of Hercules C-130 and other heavy lift assets, because Nigeria deploys forces all over Africa. Similarly the Nigerian Navy is huge. Which more tonnage than the entire West African navies combined, and to the GFPI (global firepower index) is the 4th most powerful in Africa after Egypt, Algeria and Morocco. 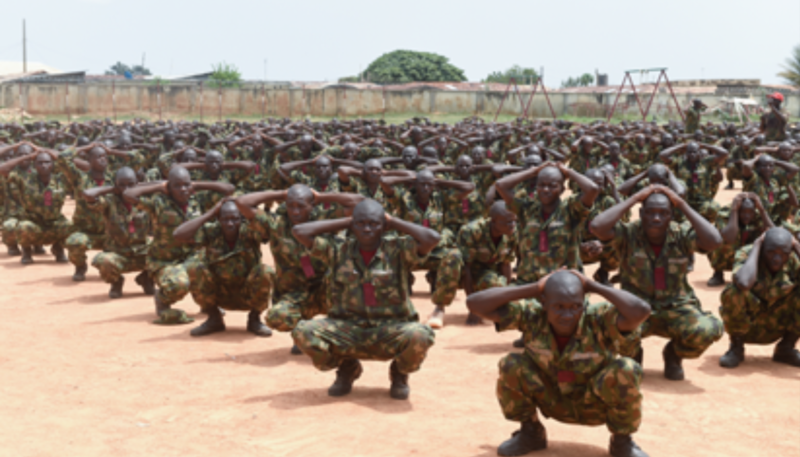 …..let’s skip to the Nigerian army today. As a country Nigeria has been at war non-stop for the past 12 years. The longest stretch of warfare in the history of Nigeria. 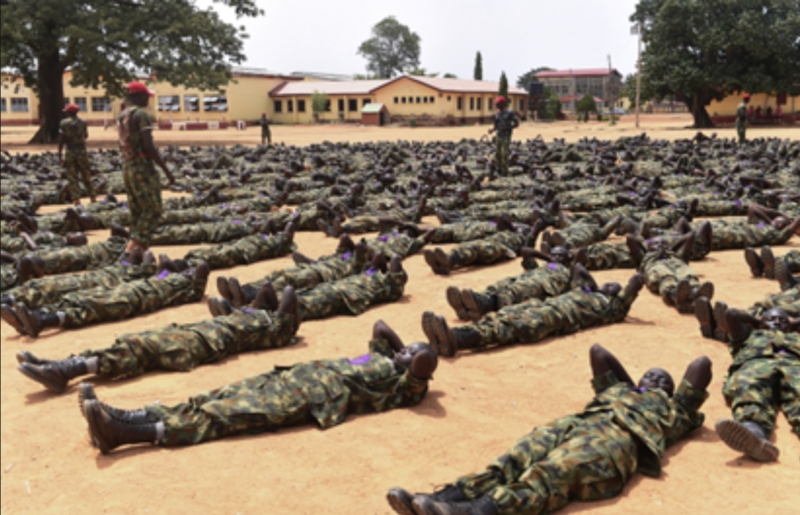 By 2003 the size of the Nigerian military cumulatively was 80,000, with 60,000 in the Nigerian Army. The smallest its been since the civil war ended. Too much complacency regarding the military and too weak a tragic imagination about the consequences of lack of investments in human and material resources eroding the preparedness and capability of the armed forces. 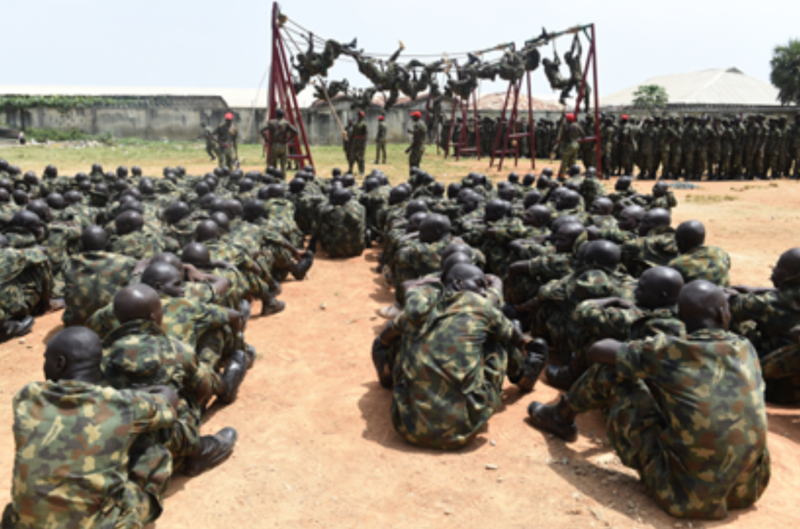 As recently as decade ago the Nigerian army was considered one of the best equipped fighting force on the continent. But the Boko Haram insurgency brought to light embarrassing equipment shortages that saw soldiers giving 30 rounds in some cases and sent into battle, using Toyota Hilux vans for armoured personnel carriers, a vehicle most associated with militias than national armies. Of the 80,000 active duty troops only about 20,000 were equipped for combat operations. Nigerian Army troops attached to Operation Lafiya Dole, the counter-insurgency initiative, have captured 167 Boko Haram fighters in an offensive on the terror group’s enclaves around the Lake Chad region. This was disclosed in a statement signed by Colonel Onyema Nwachukwu, Deputy Director, Public Relations, Theater Command. According to the statement, the offensive commenced about two weeks ago with coordinated air and artillery bombardments on Boko Haram enclaves. Ground troops, the statement added, moved in to clear the areas, killing many insurgents and arresting 167. The statement equally disclosed that troops extricated and profiled 67 women as well as 173 children. Those profiled were said to have revealed that they are family members of insurgents who fled, following troops’ offensive. Arrangements, added the statement, are currently being made to hand them over to Internally Displaced People’s (IDP) camp authorities after preliminary investigations must have been concluded. 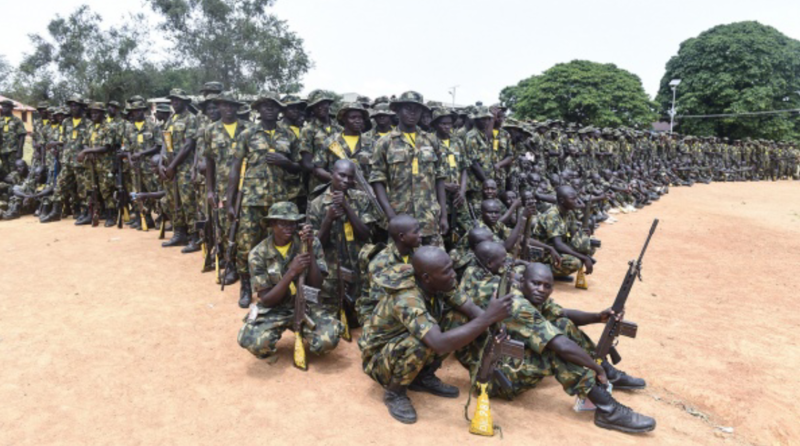 Furthermore, the Army explained that troops of Operation Lafiya Dole, in the last two months, have conducted long-range fighting patrols and ambushes to clear Boko Haram hideouts in Saada and Juwei in northern Borno State. “During the operations, troops intercepted and arrested 53 fleeing insurgents who have been profiled and are currently helping with investigations. Fifteen insurgents have also willingly abandoned the insurgent group, describing it as a futile struggle and have surrendered to troops of Operation Lafiya Dole,” stated the Army. It expressed sympathy to families of troops and civilians killed in suicide bomb and Improvised Explosive Device (IED) attacks by Boko Haram. Chief of Army Staff, Lt.-Gen. Tukur Buratai has decorated 44 senior officers from the rank of Brigadier Generals to Major Generals. The decoration was held in Maiduguri, the Borno State capital. It was the first time such event had been held, in Maiduguri, the epicentre of Boko Haram insurgency. 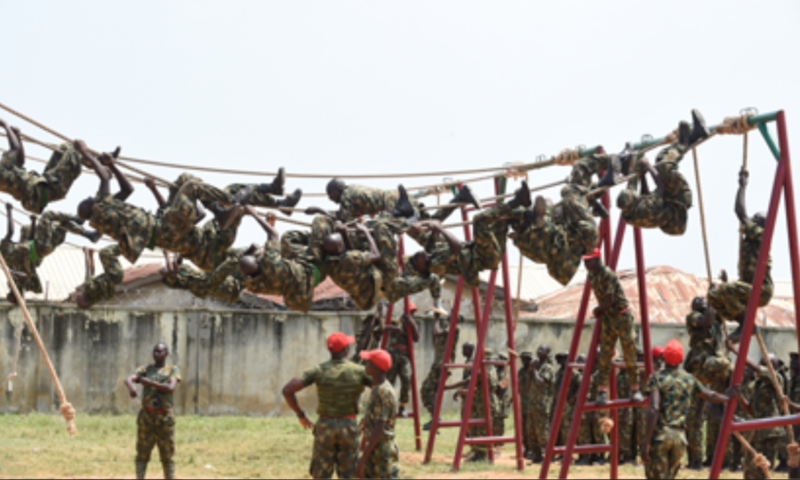 The decoration was taken place at the Army Command Guest House adjacent the Theatre Command Headquarters, Operation LAFIYA DOLE.